The Posh Shed Company designs and builds wooden sheds of the highest quality. Using only superior FSC timber, it produces a range of beautiful yet practical sheds, as well as offering a bespoke service for those wanting something really unique. 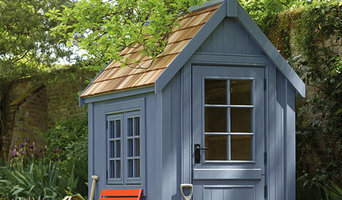 Available in a range of colours a Posh Shed will enhance any outdoor space. A Posh Shed – proud to be a shed! GripDeck® have been manufacturing a superb range of slip resistant products since 1999, all proven to eliminate or reduce slipping hazards in public access areas and work places. We can provide off the shelf and bespoke anti-slip solutions for stairs, footbridges, access ramps, decking, pontoons, boardwalks, vehicle steps and many others applications. GripDeck are totally independent and unlike some providers of anti slip timber products, we can source product and materials from all the major timber merchants and suppliers. This means GripDeck are free to offer you the widest range of timber decking products, at the best possible price. Whatever your project, whether its a simple set of steps or a complex rail site, our range of products, unrivalled industry knowledge and installation experience will greatly improve safety for the public and your workforce, in and around your workplace. 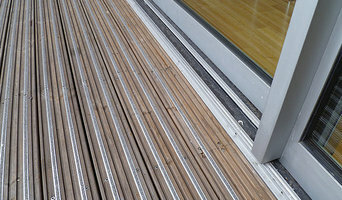 Welcome to Gripsure the UK's leading manufacturer of anti slip timber decking. We are specialist in non-slip timber decking with over 30 years experience in slip resistant coatings and resin. We manufacture a wide range of our own non-slip decking boards in both soft and hardwoods. Gripsure's boards are perfect for creating fabulous, safe & low maintenance outdoor living spaces at home that can be used all year round. Garden Affairs design and install high quality garden buildings including: garden offices, summerhouses, studios, log cabins, gazebos, timber garages & posh sheds. 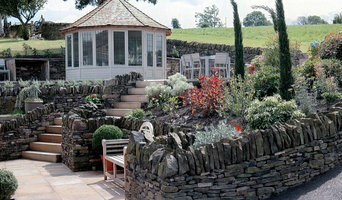 All our buildings can be custom designed to fit your garden and the style you want. Choose fully installed by our own team or delivered as a self-assembly kit. A huge variety of options are available including insulation, base work, electrical wiring, green roofs. Visit our website for inspiration and pricing, visit our beautiful display centre in Trowbridge, Wiltshire to see the quality for yourself. Premium Wood Free Outdoor flooring and decking manufacturer Millboard decking is inspired by the beauty of nature but built to outperform it. Unlike conventional composite decking, it is moulded from selected timbers and hand-coloured in authentic tones. As a result, it looks exceptionally like real wood, but doesn’t rot, retains high slip-resistance even when wet, and requires little maintenance other than a simple wipe clean. Our aim is to supply our clients and customers with Top Quality Products and Services Timber Framed Gazebos with a PVC, Thatched or Shingle Tiled Roof, Garden Buildings, Spa's, Swimming Pools,& Pool Accessories Artificial Grass Never Beaten on Quality or Value for Money ! Welcome to The Gazebo Company, based in England, we are proud to provide a new and exciting way for family and friends to socialise. Our Product’s are perfect for family barbecues, parties, Hot Tubs, Spa’s and dining with family and friends. Like many great ideas, The Handmade Garden Storage Company was born out of frustration – and a belief in better. Our founder Justin Hearn – a skilled craftsman, carpenter and businessman – had painstakingly restored his listed Regency home in Devon and wanted an outdoor store of fitting quality to complement it. However, despite an extensive search, he couldn’t find a shed with both the style and substance he demanded. By combining his design flair, artisanship and an eye for detail, he now hand-makes storage, sheds, cycle stores and outbuildings of rare distinction. Garden storage to be proud of. ecodek® is a sustainable alternative to timber, a low maintenance composite product that does not require annual staining or painting. As a solid profile it will not crack, warp or splinter and is resistant to rotting and mould, and comes with a 25 year guarantee. Our most popular product is composite decking for balconies and terraces, but we also produce a range of additional profiles that are suitable for fencing, cladding & decking substructures, manufactured right here in our factory in North Wales. As British manufacturers, we make your boards to lengths you require between 1.5 and 6 meters. Bespoke lengths can save you up to 15% and we offer a waste buy back scheme for any off cuts. Our aim is to supply our clients and customers with Top Quality Products and Services Timber Framed Gazebos with a PVC - Shingle Tiled Roof - Garden Buildings, Spa's - Swimming Pools,& Pool Accessories - Artificial Grass THE GROUND SCREW Wood Burning Stoves, Workshop Heaters Never Beaten on Quality or Value for Money ! We have our own design & drawing department and factory, enabling you to fulfill your client's individual designs and wishes. Your chosen specialist will run through your options based on your available budget and space, and discuss potential stumbling blocks such as building regulations and planning approval. A shed is typically counted as a temporary structure but every planning authority will vary in its requirements and shed builders can help work through this with you. Many summerhouses on the other hand will warrant planning permission due to their size and more permanent nature. 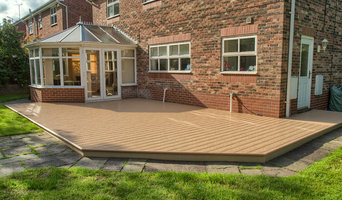 When it comes to patio installation, or decking installation, you will certainly find working with decking installers and patio pavers will lighten the workload and ensure your new garden feature offers a great outdoor space for years to come! You may also want to work with a garden design professional to plan your garden space before engaging a patio or decking installation professional. This decision may in the end come down to the space you have available for your garden room. Today, there are many specialist shed builders that offer high quality sheds in attractive and colourful designs that can easily be transformed into compact outdoor rooms. At its simplest construction, a garden shed is obviously a very useful storage place, whilst a summerhouse typically works as a real garden showpiece, there as a garden room to be enjoyed come rain or shine. And it can be constructed in almost any style you wish. How about a traditional log cabin or something more contemporary such as an energy-efficient modular design or a Scandinavian summerhouse of interlocking construction? Customise your summerhouse with lighting, heating and even internet connectivity depending on the core use, whether that’s a separate workspace, home gym or sun-bathed hideaway. A summerhouse can look overbearing if it’s more than a quarter of the total size of your garden so, again, check with your specialist to see how big is too big. Patios are a great place to entertain friends and family over a juicy barbecue and bottle of wine on a balmy summer’s evening. A patio looks particularly good at the front of a large garden, teamed with cast iron patio furniture, and can be constructed from a number of different materials such as stone, brick and concrete. Your patio designer or patio installation specialist will be able to plan an attractive patio design which can range from a simple regular tiled layout to complex mosaic patterns. Alternatively, hardwood decking is another great way to bridge indoor and outdoor areas, separated by sliding or French doors. If your garden is lower than your home, consider asking your decking installation professionals to raise the deck to the level of the floor so you can step seamlessly outside. And it needn’t be a standard rectangular decking installation either. Go with the flow and add a curved border, accentuated by decking lights. If the kids are making you climb the walls, ask your expert to help you design a low-level play area, painted in bright colours and incorporating a sand pit. No kids? A gazebo or pergola will go well with that timber decking installation – the perfect spot for reading or snoozing. Search in the Find a Pro section of the website for patio and decking installers as well as shed builders and summerhouse manufacturers. You can also look through photos to find examples of decks and patios that you like, then contact the decking installation professionals who worked on them. Or look for photos of summerhouses or sheds that are tagged with the suppliers information.